Hey everyone! 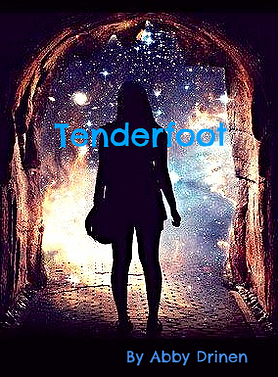 Today at 10 am I'm revealing the cover for "Tenderfoot" on social media! YAY! And I have a contest to go with it. If you, share, comment, retweet, reblog, follow me, etc, etc can win a free signed copy of "Tenderfoot!" Go to any (or all) of the following links and enter to win. Contest starts today, ends Sunday. Winners are drawn Monday! Instagram: I'm not sure how to link it from a PC, but I'm "azabbyd"
Thank you for all your support. "Tenderfoot" will be available to everyone next week. Watch for that big announcement, too! Oh! And if you follow me here on movellas, I'll give you an extra entry to win! mumbled "I'm melting...I'm melting...what a world!" Yay, a book trailer! Can't wait to see it!! mumbled "What do you think..."
I am rubbish at writing the blurb for the "back of the book" or the "BoB". After many, many rewrites I have come up with this for my book "Tenderfoot", being published this spring. Am I close here? Would you pick up this book and at least take a peek at the first chapter after reading this? I'm really in the dark here...help! Oh, and the attached image is just a mock-up cover. The "real one" will be similar, but more polished! "There's nothing to see. No lights, no sound. But my skin knows this isn’t home." Teenagers, Linnea, Sammy, Logan, and Daisy, have stumbled into a tear in the fabric between worlds. Crossing over to a place called Enova, they leave behind lives of poverty, violence, and despair, and receive a fresh start. Adopted by loving families, they begin to settle in, and accept their new home, but an assassination attempt on their lives changes everything. The four strangers must band together, and accept help from unlikely partners, if they are to survive. "The first step was mine; then I was rescued. And I’m relieved, I was desperate for a way out." Oh! Sorry. Fyre, I like that! 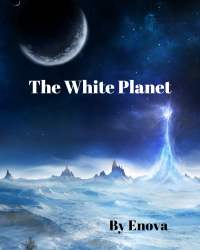 "The White Planet" has just passed the 1k mark for readers! Yay! Thanks to all who read. And the two readers who liked it. I'm excited about where the story is going in this book. It reveals itself to me in such a way, I get to enjoy it as a reader as well as a writer. Have you ever had that experience? I'm back to updating my "Last Day" novellas. I had to take a quick break last week while I finished the final revisions on my novel, "Tenderfoot". The novellas are about the main characters from the novel, so if you like the novellas, you'll probably like the book (I hope!). Check them out and let me know what you think.